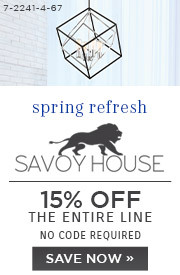 Santina by Savoy House is a head-turning collection of open, geometric contemporary lights. 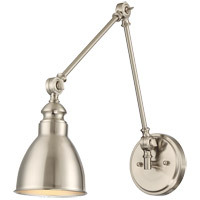 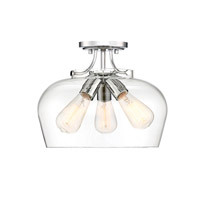 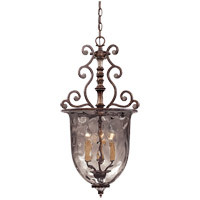 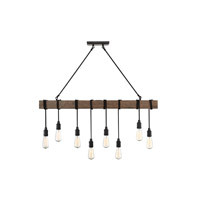 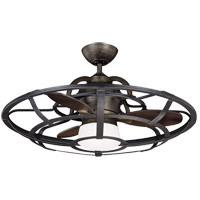 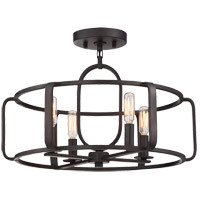 This 4-light fixture can be a semi-flush mount or a pendant. 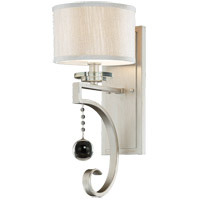 The very airy look is reminiscent of a drum shade and showcases the light sources. 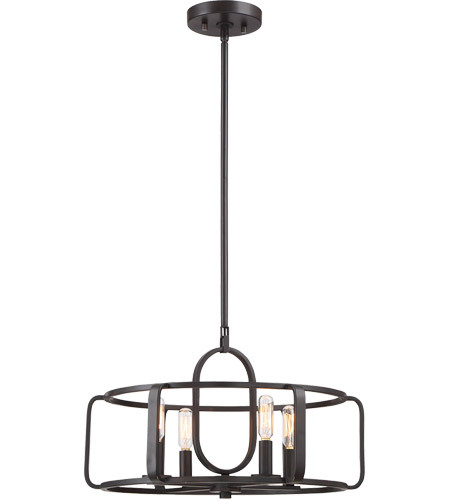 English bronze finish.